NOTE: DWT ("Deadweight Tons") - the load carrying capacity of a ship. DWT includes the weight of the cargo, fuel, ballast water, passengers, and crew. As real and potential threats confront U.S. agriculture, in general, and the soybean industry, in particular, it becomes all the more incumbent to identify opportunities to enhance farmer profitability. Making strategic investments in infrastructure - the system that allows production to cost effectively and reliably access international customers - is one of the most effective ways to promote and elevate America's farmers. Net orders for North American Class 8 trucks totaled 52,250 units in June, the highest monthly total ever, according to preliminary data from freight forecaster FTR Transportation Intelligence. CN has posted on its website a plan for servicing the 2018-19 grain crop. The report is what the Class I is calling a first annual public Grain Plan, developed after "extensive consultation with key stakeholders," according to the website. 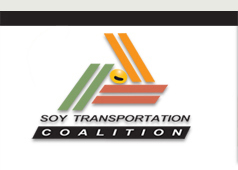 The Brazilian grain industry is still feeling the residual impact of an 11-day truck driver strike in May, which has resulted in a slowdown of the country's grain and oilseed trade, according to a July 26 Global Agricultural Information Network (GAIN) report from the U.S. Department of Agriculture.